» Forum » Tech » Tech: Modern games » Connecting ColorDMD to an Arcade Power Supply. » Connecting ColorDMD to an Arcade Power Supply. Connecting ColorDMD to an Arcade Power Supply. To prevent blowing fuse F116 continuously I want to connect a ColorDMD CHROMA REV A1 to a HAPP 110W power supply. important that those boards remain on the same ground. If you are not sure what you are doing, it's possible to damage one or more of your boards. If you have other lighted mods like toppers or LED strips, they can be connected to the external supply. Fuse F116 blew while other mods were disconnected, so I want to go ahead and connect it to an external power supply. I am not sure how to exactly connect each wire and ground it correctly, is the table below correct? 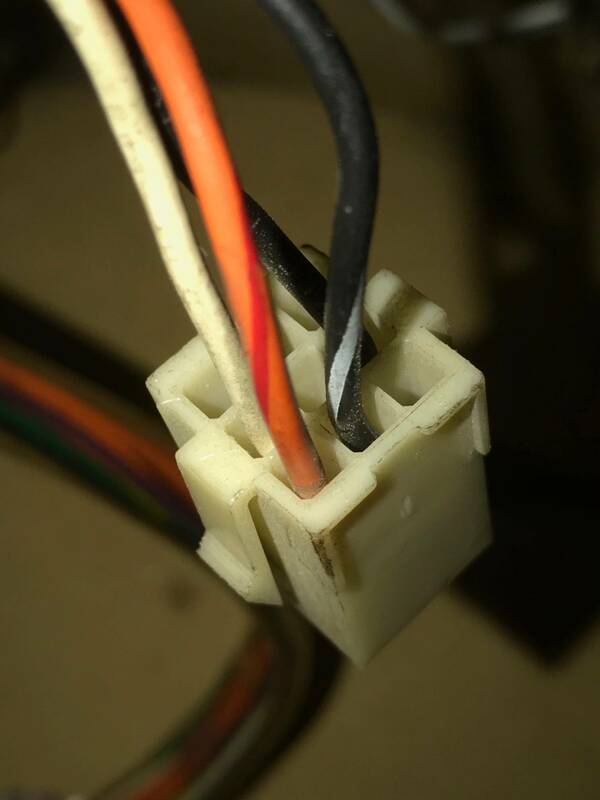 Any ground wires, what is FG? So, the vendor says not to do it, but you want to proceed? Actually the vendor recommends to move other mods first, otherwise you must make sure the boards remain on the common ground. Just do a Google search for F116 and ColorDMD and you will see it is a common issue which only is resolved with a separate power supply. Not all driverboards can handle the 12V draw of a ColorDMD. So I want to proceed but correctly. Ive done this with great success using one of those. IMHO, if your WPC89 Driver board doesn't have enough power for the DMD then you either have a bad bridge on the PDB, or have other issues unrelated to to the PDB that are causing excessive current draw. FG is frame ground - the chassis... vs 'signal ground' which is the ground of the outputs. Frame ground is usually tied to earth ground for shock hazard protection. In most pins, earth and signal ground are tied together by the ground points anyways. I would tie FG of the power supply to the ground of the transformer/power outlets and probably the output ground as well (assuming the board grounds are tied to same). But I would have looked at why your driver board can't supply the 12V on its own. He said it was blowing fuses with just the color dmd connected. What it was designed for is not significant here because we know the board as designed will support color dmd as demonstrated by countless installations and Randy's own work. This guys pdb is not performing to the expected baseline. I don't claim to know what I'm talking about, but I have always thought the colordmd was using 5v and creating less of a power draw than the original display would be. No? color dmd draws from both 12v and 5V and just takes the high voltage out of the equation. If you have a toasted high voltage section on your dmd board it is a great alternative to getting a new board. Obviously - but the factory design has the headroom for the additional display. And a board performing to spec will work with it. how much wattage is the PDB 12V section designed to handle?, how much wattage on the 12V line did the plasma display use? and how much wattage does the color DMD draw on the 12V line? So everyone else is really just getting by on pure luck? And we no longer refurb boards when a system is no longer performing up to its potential? I must have missed those thousands of power driver boards that are still in use, but aged and people just bolted on power supplies instead of just repairing the aged components. I quit trying to get you to understand - merry christmas! "FG" is frame ground. I believe that "Ground" can be tied to "FG" and then both to the game's ground braids and service outlet housing that is grounded. I believe I read that the newer COLORDMDs no longer have/need the 5V connection. Age is just a number, the only components on the board that are effected by age are the capacitors, and their age is related to actual on-time and heat. In a well maintained machine all other components will out live your grandchildren.